Wednesday, 6 June 2018 – According to PwC’s Global Entertainment & Media Outlook 2018-2022 (Outlook), the ongoing rapid evolution of the industry has entered a dynamic new phase. Amid growth that is broad-based and consistent – but unevenly distributed – three imperatives are affecting every company in the industry: convergence, connecting with consumers and the need to build trust. “Convergence 3.0” is redefining the competitive playing field. Differing from earlier waves of convergence, it’s creating an ever-expanding group of “supercompetitors” and specialized, niche brands that are striving to secure the engagement and spending of increasingly demanding consumers. As this wave of change plays out, the borders that once separated the entertainment and media, technology and telecom industries are dissolving. Large Internet access providers and delivery platforms are integrating vertically, and online giants are expanding horizontally into content. Traditional segment distinctions are blurring – between print and digital, video games and sports, wireless and fixed access, cable and online, social and traditional media. In the process, business models are being reinvented so all companies can tap into new revenue streams and create relevance at scale. Some required capabilities include targeting fans and connecting more effectively with consumers to develop a membership mind-set. Amid these changes and ongoing advances in technology, the challenge to build and sustain consumer and public trust is growing more critical and the pace of change will only accelerate. All of this is happening against a backdrop of continued global growth in industry revenue. The Outlook – which provides revenue data and forecasts for 15 industry segments across 53 territories – projects that total global spending on entertainment and media will rise at a compound annual growth rate (CAGR) of 4.4% over the next five years. This boost will see the industry’s global revenue reach US$2.4 trillion in 2022, up from US$1.9 trillion in 2017. Within this overall increase, the fastest revenue growth will be in digitally driven segments. Virtual reality will lead the way, albeit from a low base, at a five-year CAGR of 40.4%. OTT video follows at 10.1%. By contrast, newspapers and magazines will see revenues decline over the next five years. Books, radio and traditional TV and home video will each grow at a CAGR of less than 2%. Even among the most dynamic segments, there are sharp differences among sub-segments. Although the video games and e-sports segment will grow at an overall CAGR of 7.2%, the e-sports component will leap by 20.6% compounded annually. Conversely, global recorded music is projected to rise at a robust 6.1% CAGR, but three of its sub-components – physical, downloads and ringtones/ringbacks – will see significant declines. Global box office rose 4.3% in 2017, but fell in France, the US and Australia. Global TV advertising will grow at a CAGR of 2.7% through 2022, but fell, for the first time, in 2017. And although newspaper revenue is declining almost everywhere else, in India it will increase by close to US$1 billion by 2022. Similar contrasts are evident in countries’ overall entertainment and media spending. The fastest-rising markets through 2022 will be Nigeria and Egypt, with total entertainment and media revenue growing at CAGRs of 21.1% and 17.2%, respectively, driven largely by surging spending on Internet access. But strip out Internet access, and India becomes the fastest-growing country, with a 10.4% CAGR, followed by Indonesia at 8.4%. On the same measure, no market in Western Europe or North America will exceed 3% CAGR growth to 2022. And China will all but match the US in terms of absolute growth, placing the two on an equal footing in terms of global importance, even though the US remains a larger market in absolute terms. Ubiquitous connectivity: The number of high-speed mobile Internet connections will increase by 2.2 billion globally by 2022, vastly expanding the market for mobile content consumption at faster speeds. A symbolic tipping point will occur in 2020, when total global data consumption via smartphones overtakes fixed-broadband data consumption. The mobile consumer: The worldwide explosion in mobile access is seeing the connected mobile device become consumers’ primary means of accessing content and services across virtually all markets. This makes mobile an increasingly important focus for advertisers. And again, a key tipping point underlines this shift: 2018 will be the first year in which global mobile Internet advertising revenue will exceed its wired equivalent. Need for new sources of revenue growth: E&M companies are looking to expand beyond traditional revenue sources, which in some cases are declining. At the same time, telecom companies are targeting entertainment and media content to revitalize their growth. As a result, every player in the ecosystem is racing to develop new revenue streams. Consider that OTT spending will grow at a CAGR of 10.1% through 2022, compared with just 2.3% for broadcast TV advertising. Value shift to platforms: Social media and technology platforms are outpacing traditional content creators in capturing consumers’ attention and a rising share of their spending, trends that have fuelled the rise of supercompetitors. Now some traditional content companies are fighting back by developing their own platform-like businesses. Personalisation: Today’s empowered consumers reject one-size-fits-all content experiences. As a result, it’s vital for companies, ranging from supercompetitors to fan-focused niche players, to use data analytics and AI to personalise their offerings. And the appeal of the live experience endures. For example, ticket sales for e-sports events will rise at a CAGR of 21.1% through 2022. Across all the drivers and trends examined in the Outlook, one overarching imperative emerges: the absolute need to earn and sustain the trust of consumers and ecosystem partners. We’re in an era in which trust in many industries is at a historically low ebb and regulators are targeting media businesses’ use of data. As a result, a company’s ability to maintain trust is becoming a vital differentiator. This can be especially challenging for entertainment and media companies, because they must demonstrate their trustworthiness across many dimensions, including content, data, monetisation, social impact and the appropriateness of advertising content. When building trust, content and brand form the foundation, starting with delivering on the promise of quality. Given the vision of the industry’s future presented in the Outlook, how can companies position themselves for sustained success? To request press access to the online Global Entertainment & Media Outlook 2018-2022 content, contact Nicholas Braude at nicholas.braude@pwc.com. This access will allow you to illustrate this and other media stories both by extracting detail from the Global Entertainment & Media Outlook dataset and analysis at a segment and territory level, and by creating charts on-screen that can be exported for use with your stories. Much of the content in this press release is taken from data in the Global Entertainment & Media Outlook 2018-2022. 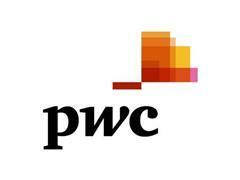 PwC continually seeks to update the online Global Entertainment & Media Outlook data. Therefore, please note that the data in this press release may not be aligned with the data found online. The online Global Entertainment & Media Outlook 2018-2022 is the most up-to-date source of consumer and advertising spend data.